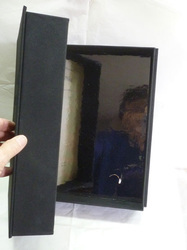 Books in the "Little Library of Endless Forgetting"
These Black Books have three main components - the clamshell box, the diptych format, and what is inside. 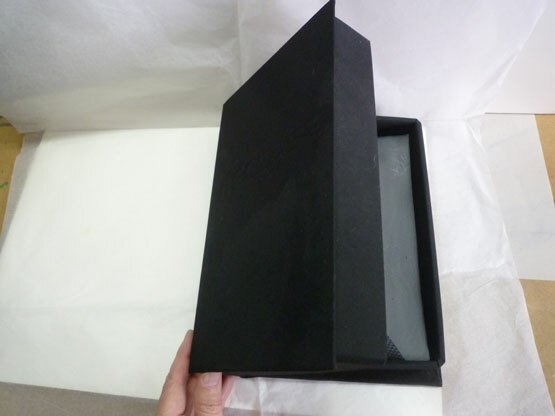 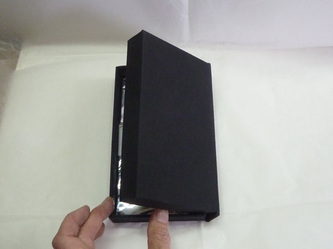 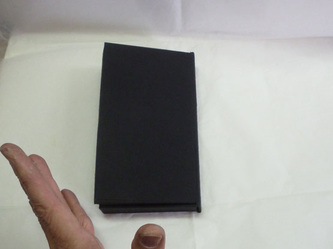 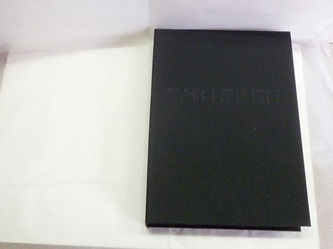 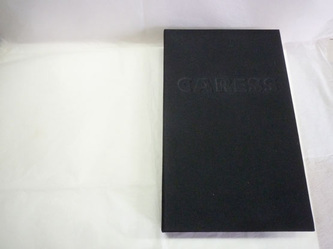 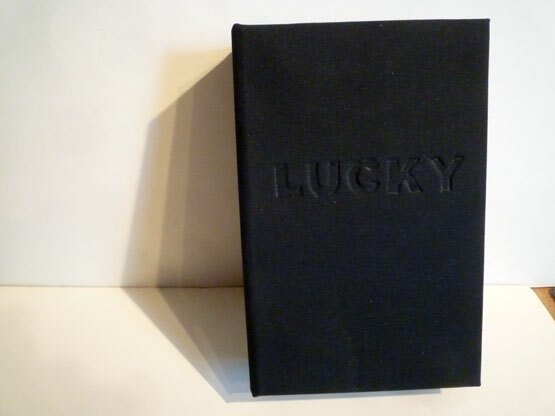 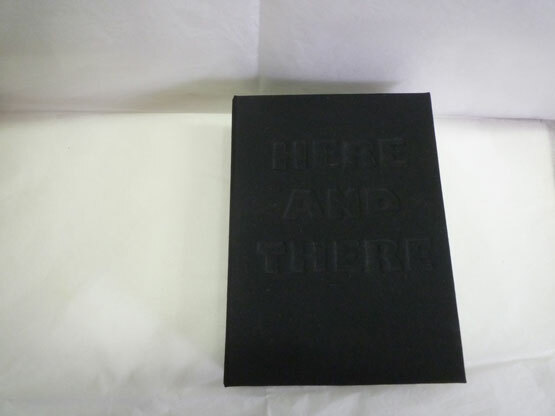 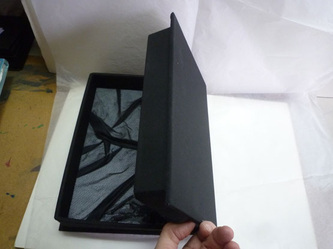 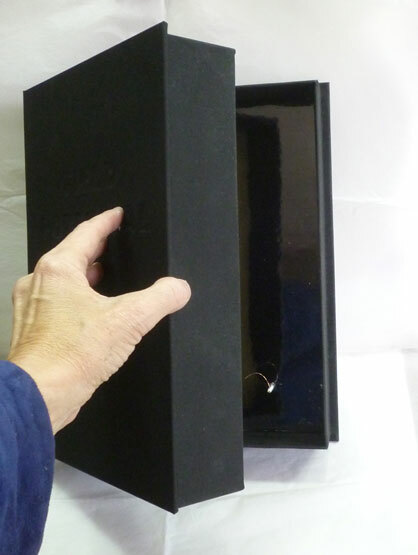 The box is of varying size and weight, but always black, with the title debossed into the cover. The diptych format, intrinsic to the codex book format, is fundamental to my concept - that the two sides are related to each other in ways that must be imagined. 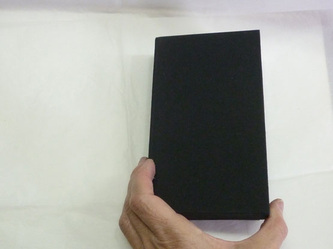 The "reader" opens the book to see them in a flat space; when the book is closed, the "pages" face each other. 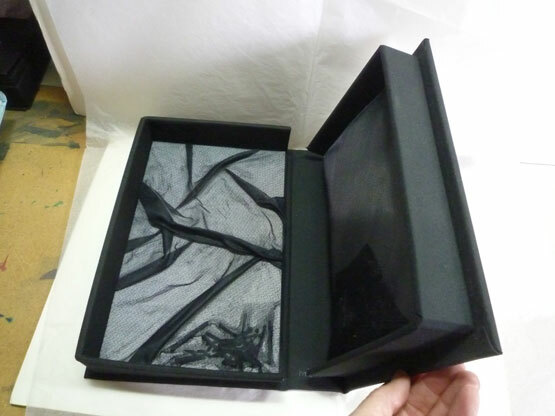 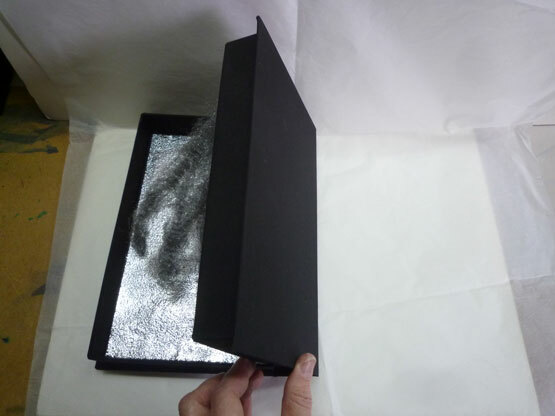 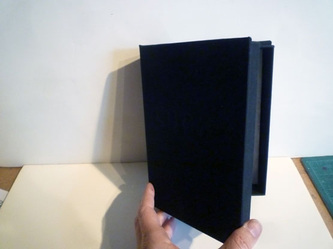 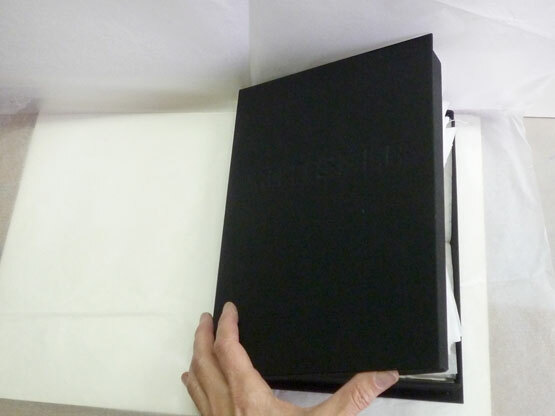 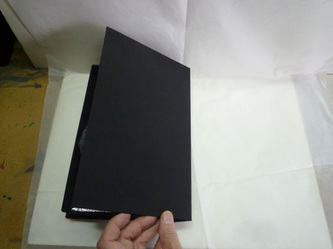 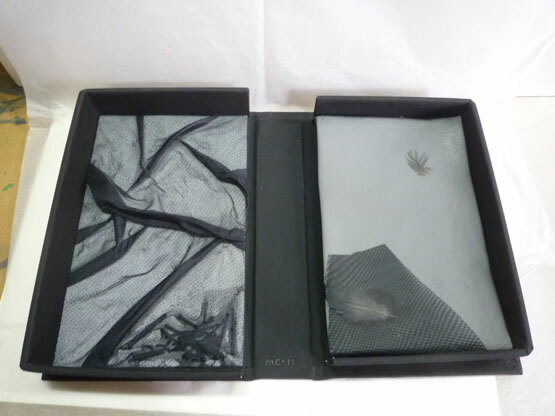 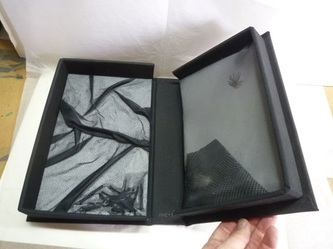 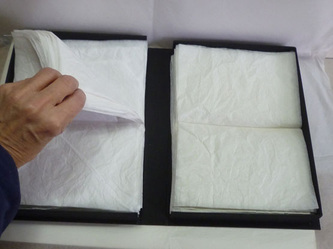 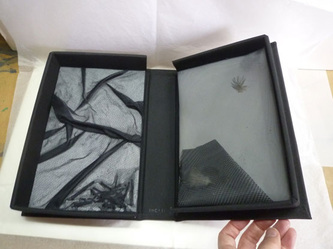 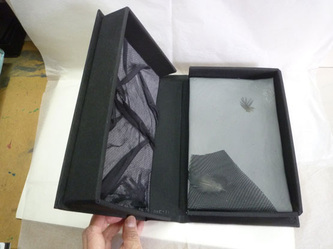 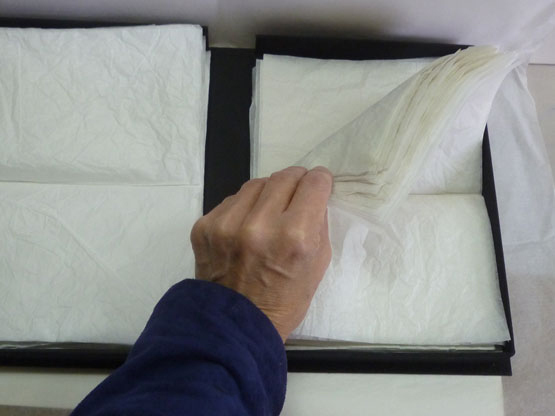 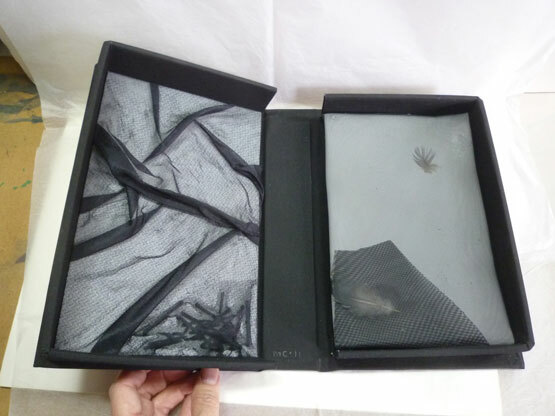 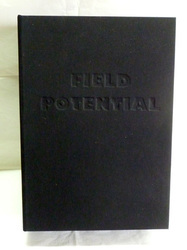 The contents of the book are visual and haptic - the books must be handled to be seen. Readers must dare to open the black box; having read the title while doing so, and viewed the contents, they can conjecture what continues to happen in that dark space when they have closed the book and put it back on the shelf - hence they are "conjectural books". 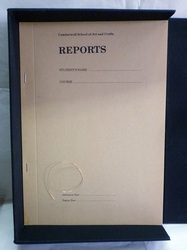 They were first shown at Camberwell College Library in the "Overdue" exhibition, starting 26 October 2011. 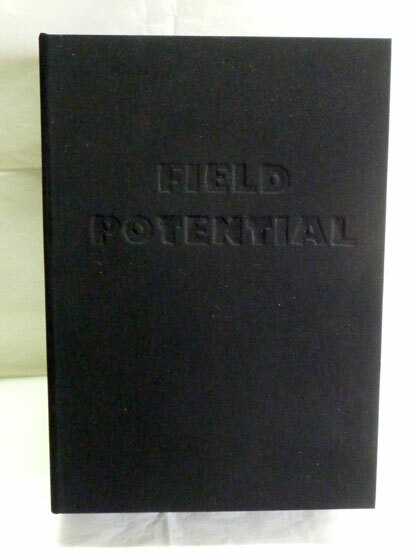 The term "field potential," used in physics and neurophysiology, refers to the difference in electrical charge across a gap. When the book is closed, do electrons jump the gap and make a current flow? 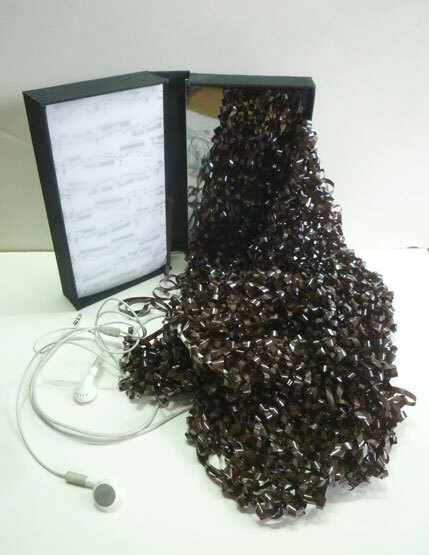 Do creative sparks fly? Notebook ("Reports" - to be filled in by tutor - from Camberwell College of Arts and Crafts, possibly 1970s), reflective foil, screw, copper wire in clamshell box. 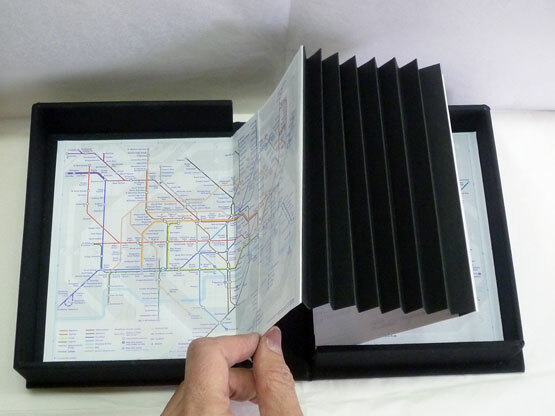 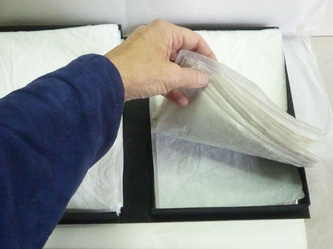 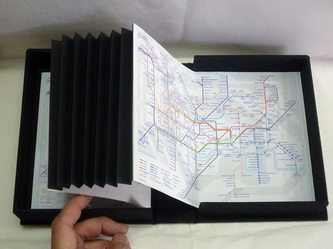 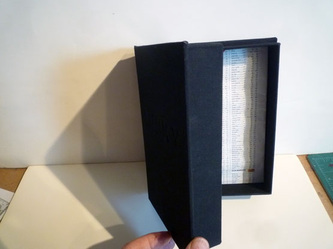 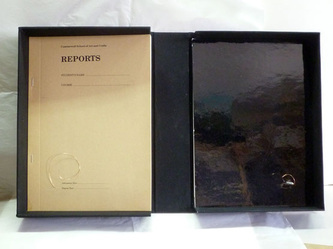 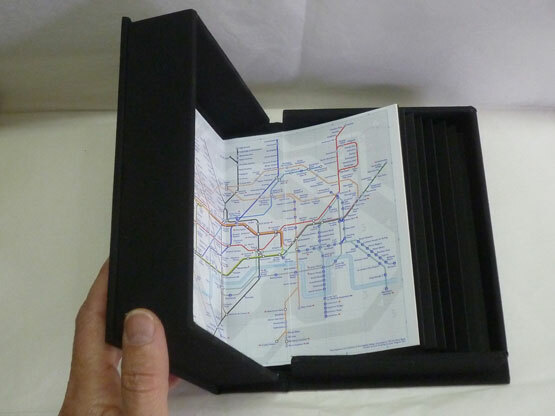 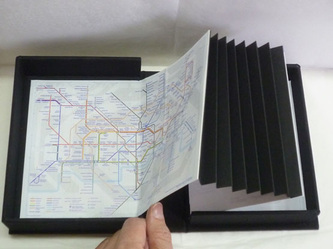 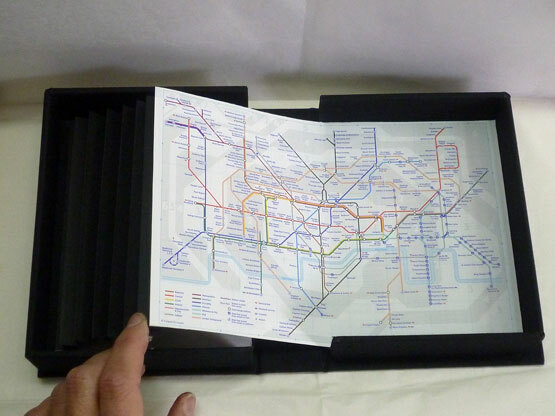 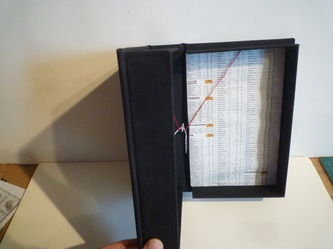 Maps of London Underground and folded paper in clamshell box. 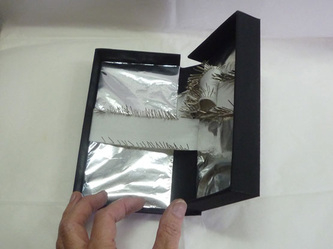 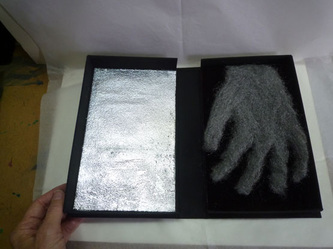 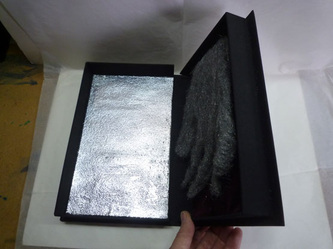 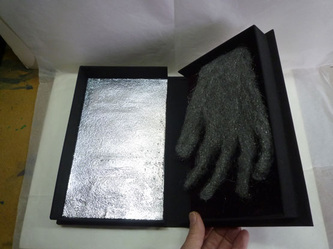 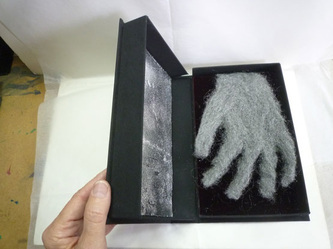 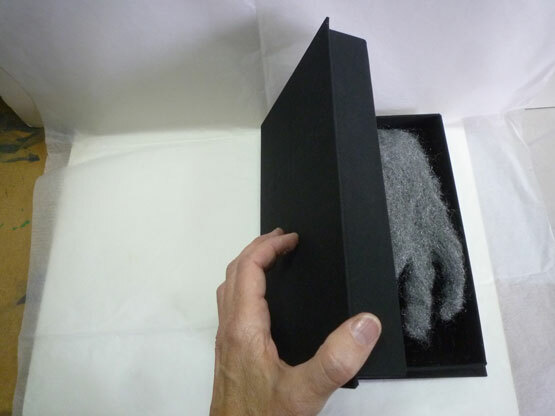 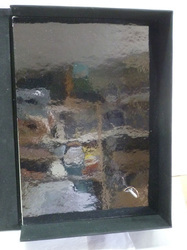 Gilded sandpaper, wire wool, velvet in clamshell box. 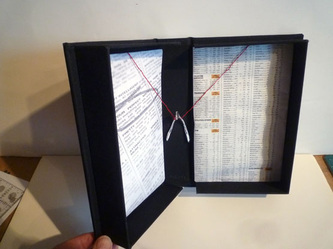 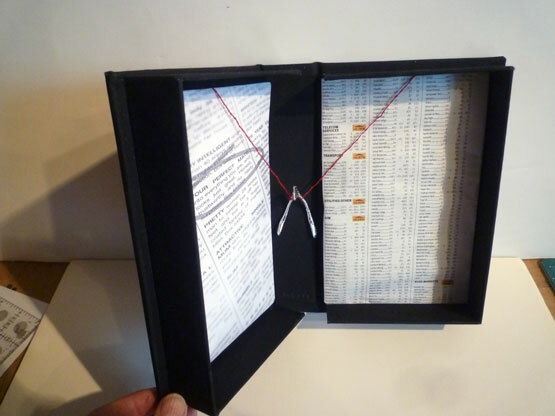 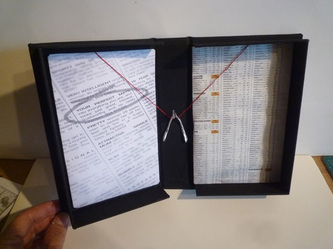 Lonely hearts column, share prices from newspaper (October 2011), gilded wishbone, silk thread in clamshell box. 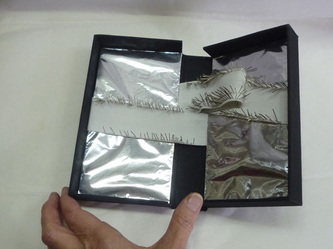 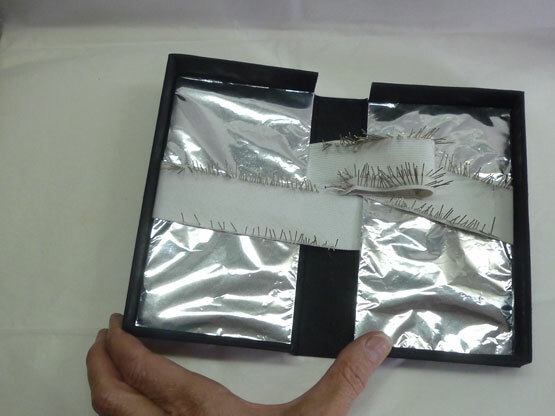 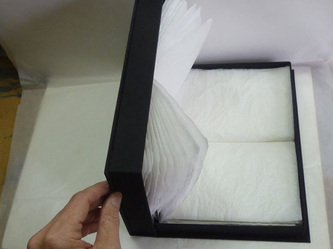 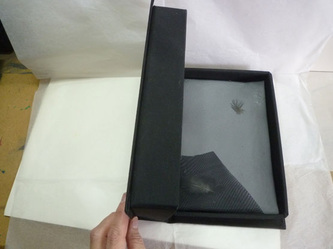 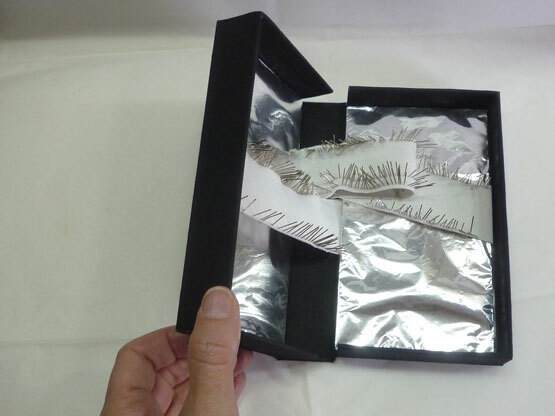 Fabric, burnt matchsticks, feathers in clamshell box. 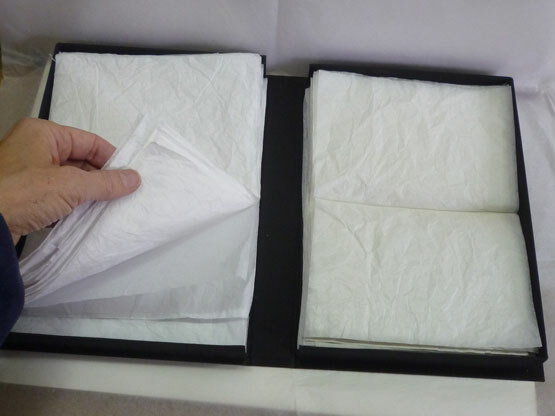 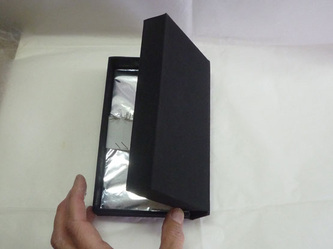 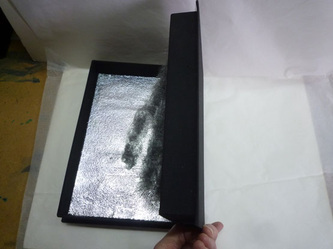 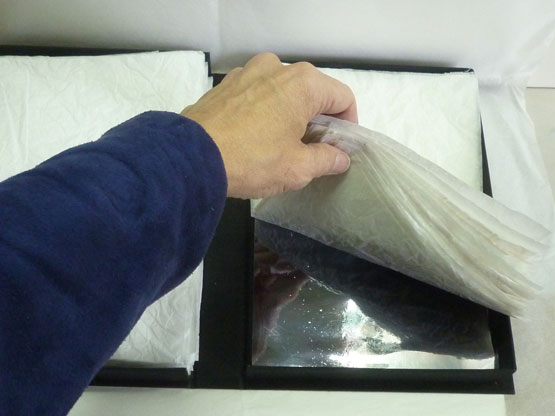 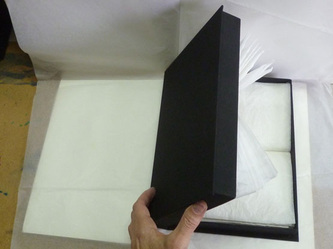 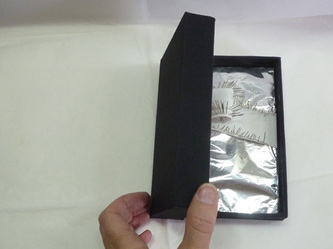 Tissue paper, reflective foil in clamshell box. 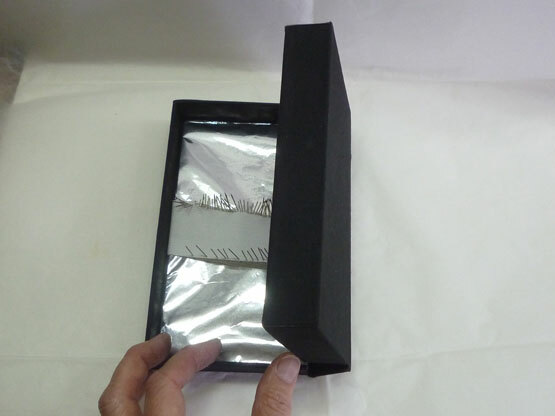 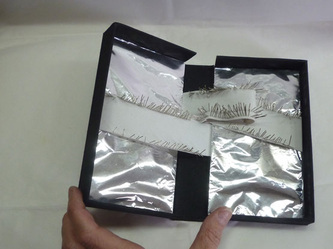 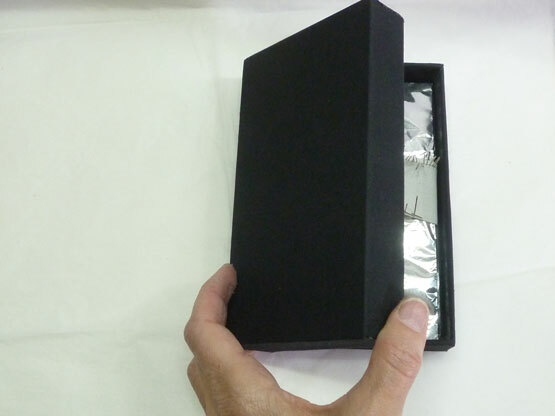 Aluminium foil, elastic, pins in clamshell box. Sheet music, tracing paper, reflective foil, audiotape, headphones in clamshell box.